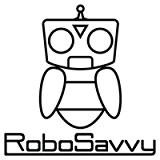 RoboSavvy Forum • View topic - Help me please.. About MX-201 KHR3-HV charger . Help me please.. About MX-201 KHR3-HV charger . When I insert the HV battery connector to the charger connector. LED on MX-201 is red blink. Is it charge or warning Sign ? on MX-201 LED is charge to orange. Is LED orange means discharge. Is Green LED means complete ? Re: Help me please.. About MX-201 KHR3-HV charger . The charger will automatically start the charge process after discharging the battery completely.